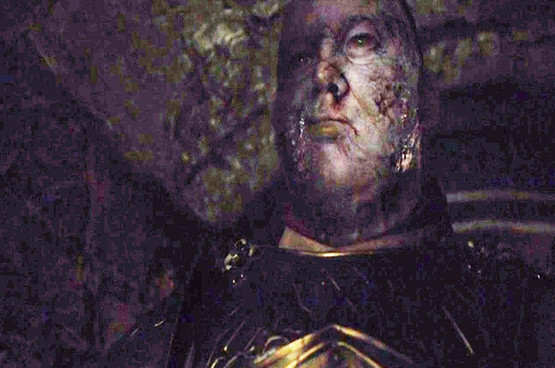 After ten episodes of season six of Game Of Thrones we finally saw the Mountain remove his helmet and show his face, his revolting, corpse-like face. 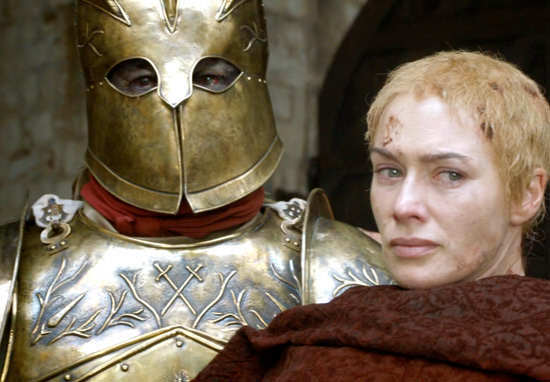 The once uncontrollable Ser Gregor Clegane has been turned into a fiercely loyal puppet of the newly crowned Queen Cersei, although it still isn’t entirely clear what ex-maester Qyburn did to him. As reported by NME, all we saw until the season finale was the giant member of the Kingsguard’s eyes. But then Cersei ordered him to exact a particularly dark brand of vengeance on Septa Unella. Sadly the lighting in the dungeons of the Red Keep are in need of an upgrade. Thankfully the guys over at PopSugar called on the Lord of Light – and Photoshop – to brighten the image. With Daenerys on her way, and Jon heralded as the new King in the north, I’m sure we’ll see the Mountain in his reanimated state called upon again.